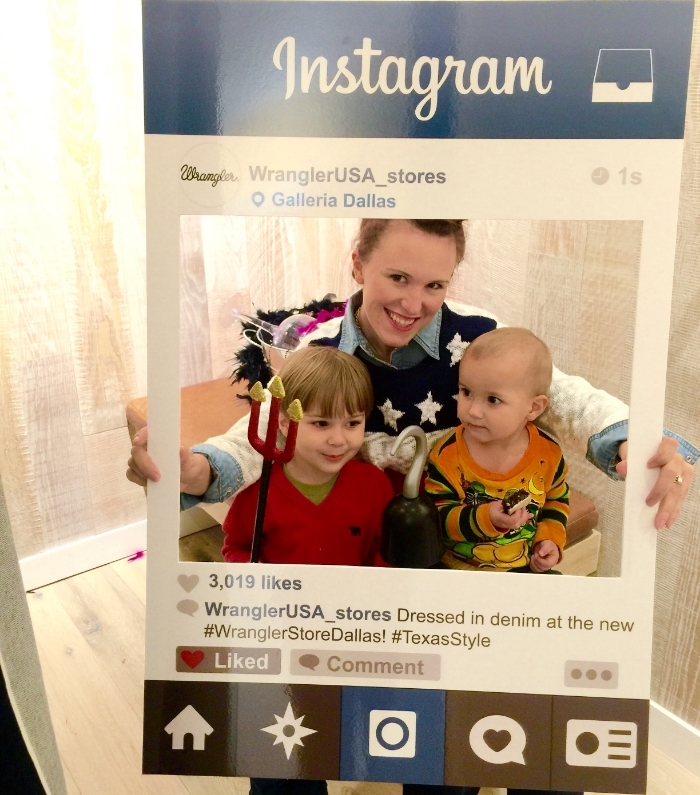 Galleria Dallas is proud to host America’s favorite denim brand, Wrangler, to the awesome audience that is Dallas & the greater DFW! Wrangler®, the authentic and iconic American leader in denim, will open a new store on level 2 near Macy’s on Friday, Oct. 30. 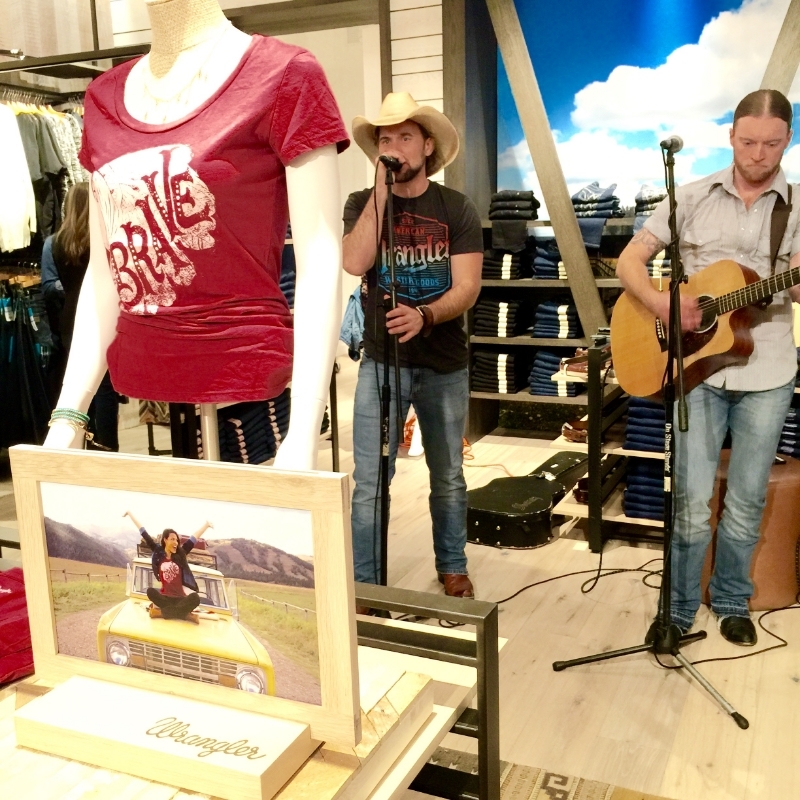 As the first Wrangler store in the state of Texas, and only the second marquee retail location for the apparel maker, the store presents a true representation of the Wrangler brand, rooted in authenticity and the freedom and independence of America’s Western heritage. When I got the invite to their media event held this evening, part of me was like, “Wait, you’ve seen my blog right? 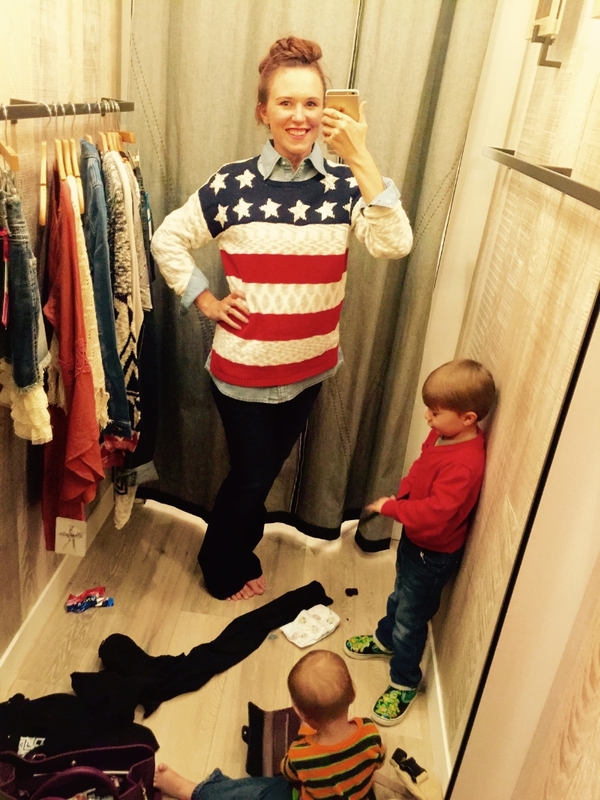 Cocktail dresses, preppy mom with the occasional skull and crossbones, and toss in some galas and Louboutins for good measure.” What I am not is western in any sort of way. But I am Texan 🙂 So we went. Featuring Wrangler jeans, tops, dresses and more, the location will serve as a shopping destination for men and women looking for both classic, long-loved Americana looks, as well as contemporary pieces exclusive to the store. The merchandise combines superior design with quality craftsmanship to showcase the best that Wrangler has to offer. 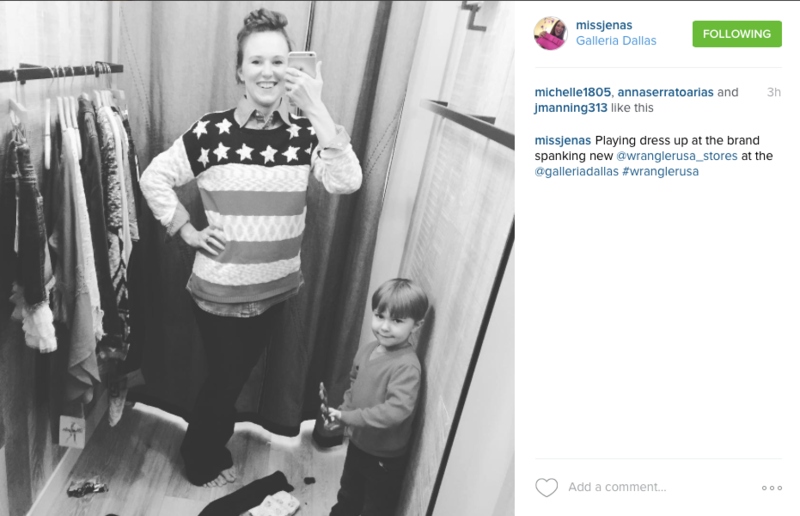 Check out my awesome helpers…ya, that is my youngest running through my wallet! 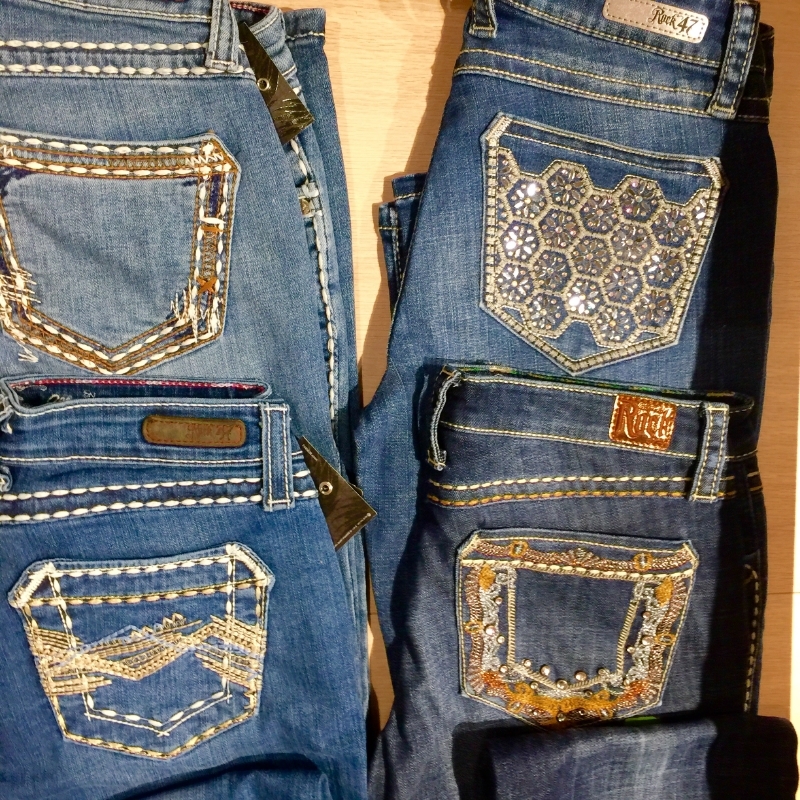 To check your perfect style prior to entering the store, the website has a great left side bar that helps you narrow your jean style so you know exactly what you want before you even set foot in the store. The Jeggings were great, but the Made in the USA dark denim was calling my name. Gorgeous! This is me right here with big, blingy eyes and my long hair mohawk. Located north of Center Court on the second level of the mall, the 2,028-square-foot store will open its doors to the public Friday, Oct. 30, and offer a free Wrangler tote with every purchase, as well as a chance for four shoppers to win a free outfit. The location will be open Monday through Saturday from 9 a.m. to 10 p.m., and Sunday from noon to 6 p.m.
Wrangler® apparel is available nationwide in specialty stores, including work apparel chains, farm & fleet, and western stores, as well as through on-line and catalog retailers. To find a retailer or for more information on the Wrangler family of products visit Wrangler.com or call 888.784.8571. During the event, we were graced with country music performed live by McKenzies Mill and their single, Middle of Nowhere. Attention Bloggers! List of Sites to Submit Giveaways!